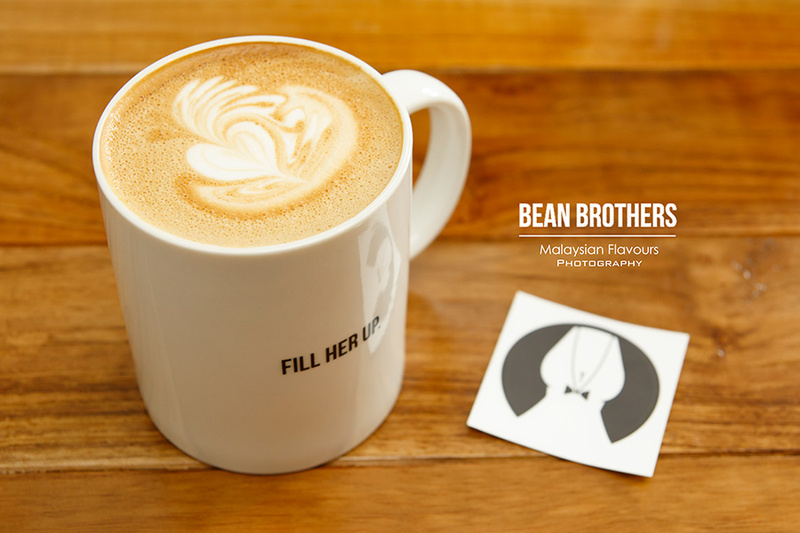 Bean Brothers Malaysia at Sunway Damansara, Petaling Jaya – Summergirl’s new love cafe! 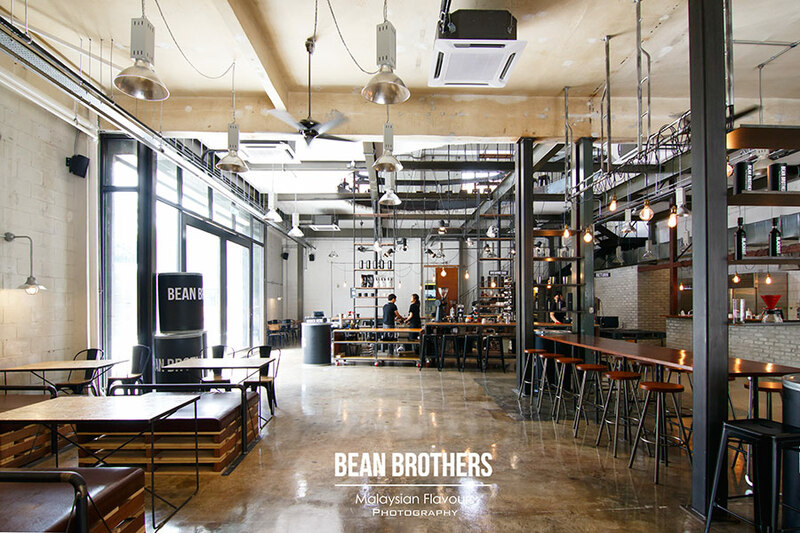 Walked into Bean Brothers Malaysia and started to get impressed with the interior of this coffee place hailed from Korea. Being one of the best cafes in Seoul with Okamase Coffee Bar back in the country, rest assured, a sip of coffee here will be satisfying. 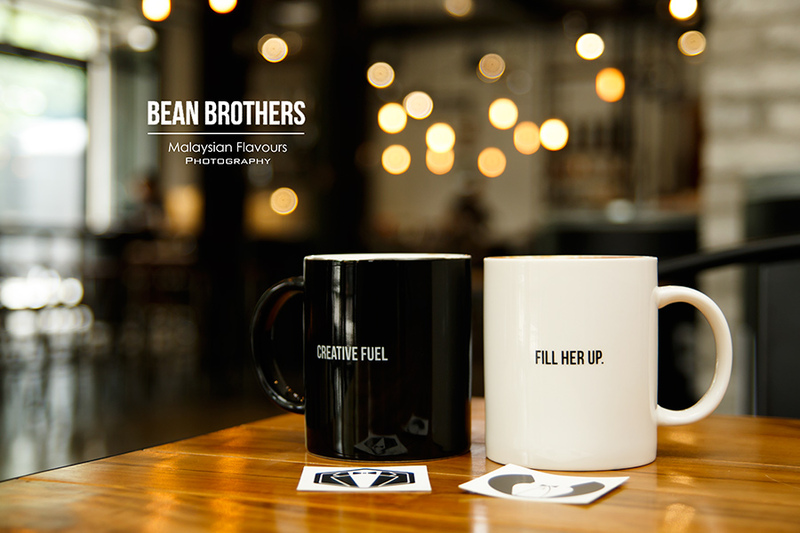 We have no idea why Bean Brothers Malaysia flagship outlet is chosen in such a hidden area, as we first thought major shopping malls in Klang Valley will be the first choice. Despite so, it doesn’t really matter, as good coffee always worth spending some time to look for. 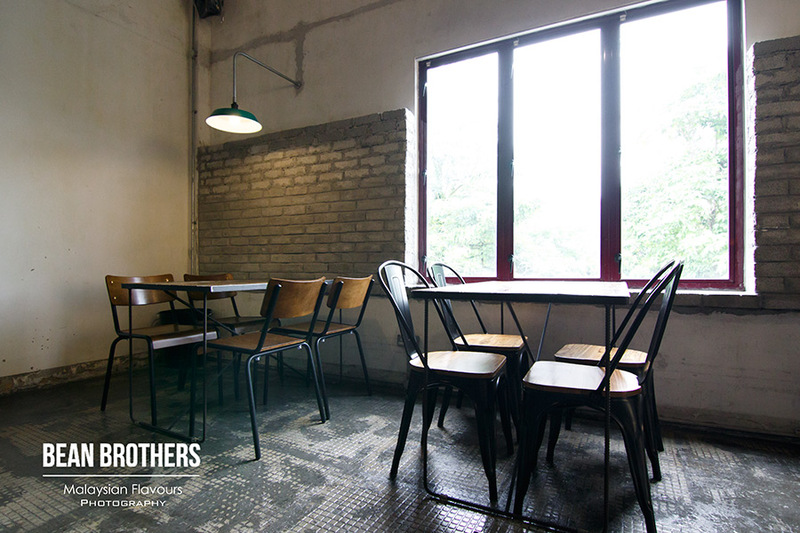 Bean Brothers Cafe is about 5 minutes drive from Kota Damansara, within the neighbourhood of Sunway Rymba Hills, Sunway Damansara. Again a location that leads us to no where even with the assist of GPS navigation app. Roads, trees, industrial sites but no sign of Bean Brothers. Went along Jalan PJU3/50 and PJU3/49 for few rounds and still failed to reach the place. 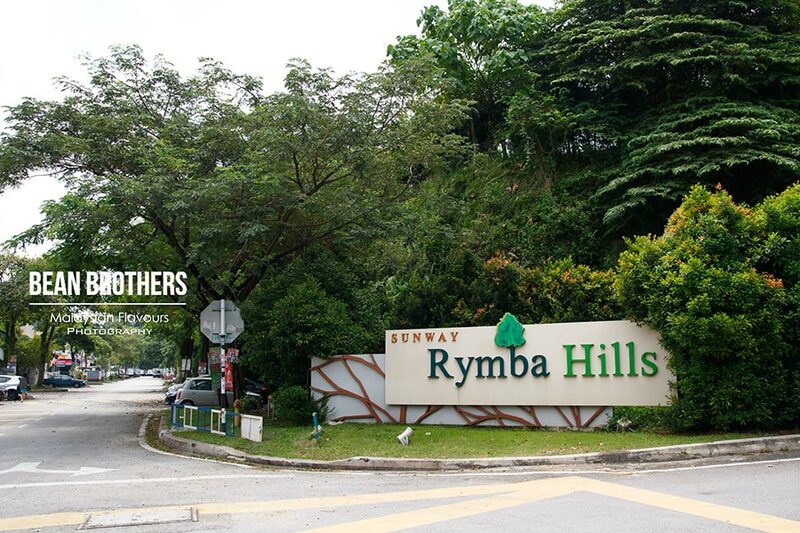 Finally, we found it right at the turning corner of Jalan PJU3/50. 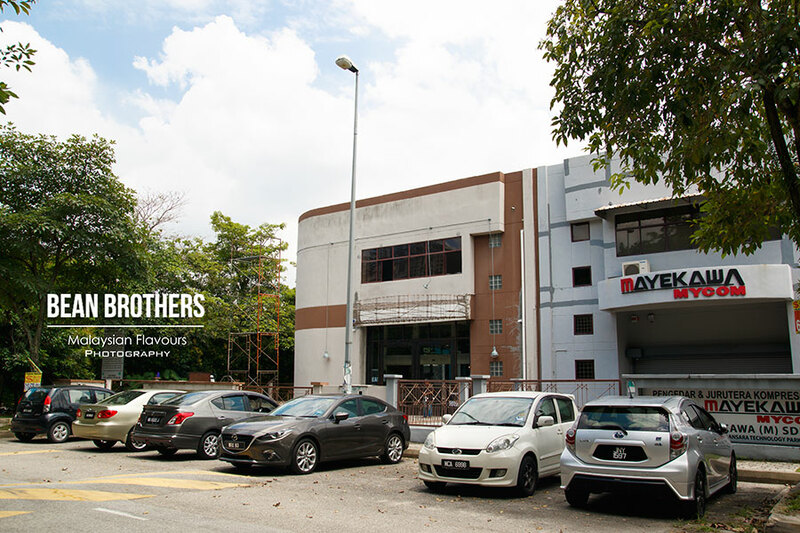 A two-storeys building with orange fencing, connected with Mayekawa MyCom. No shop sign currently, so check out the huge aluminium can wrapped with BEAN BROTHERS label. 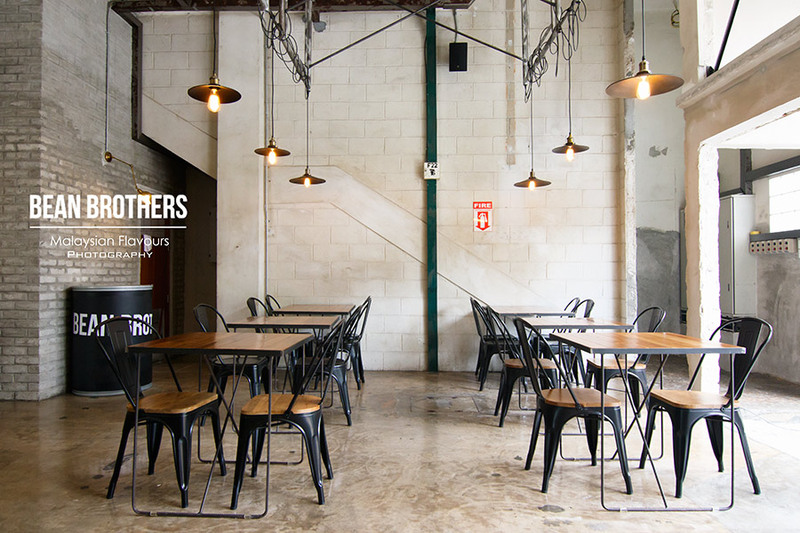 Extremely spacious cafe, renovated from industrial-like warehouse space. 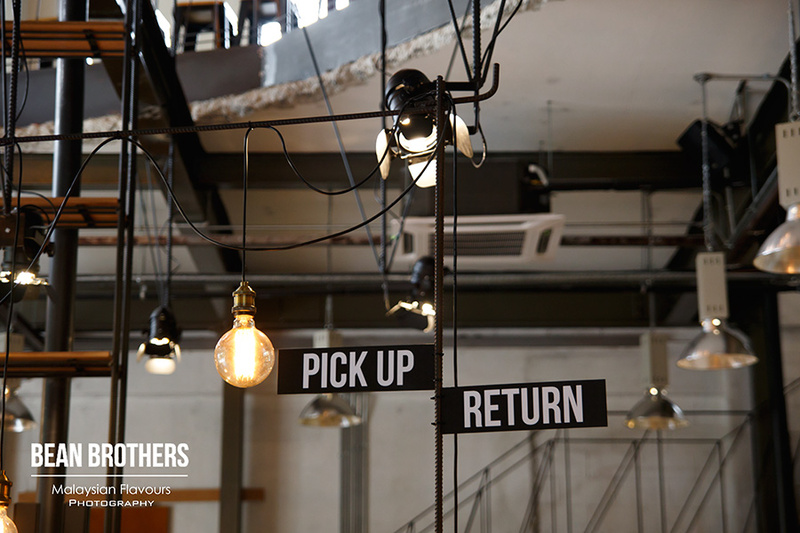 Raw and rustic touch take the lead here, having previous site being stripped off almost to its core, and remodeled thoughtfully to form a correlation between the premise’s originality and a touch of modern contemporary suited to Bean Brothers. Circular counter at the center of the cafe, surrounded by old white walls with paint peeling off the walls, exposed bricks stacking up towards the high ceilings, lamp cables rolled up in mess, dark steel pillars, shinny concrete flooring, wooden tables supported by steel legs – simple installations but sum up to eye-pleasing scene in whole. 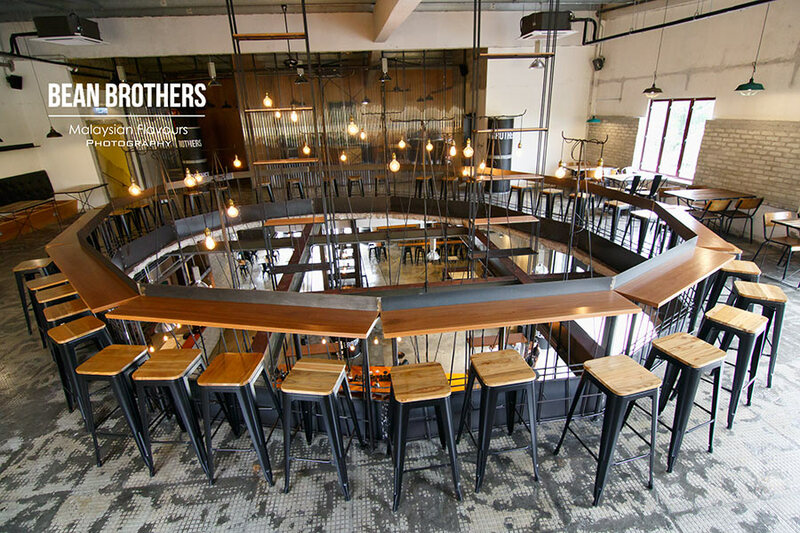 Laid out in two floors, the upper floor of Bean Brothers Malaysia is cleverly constructed with a hollowed center, overlooking the counter downstairs. 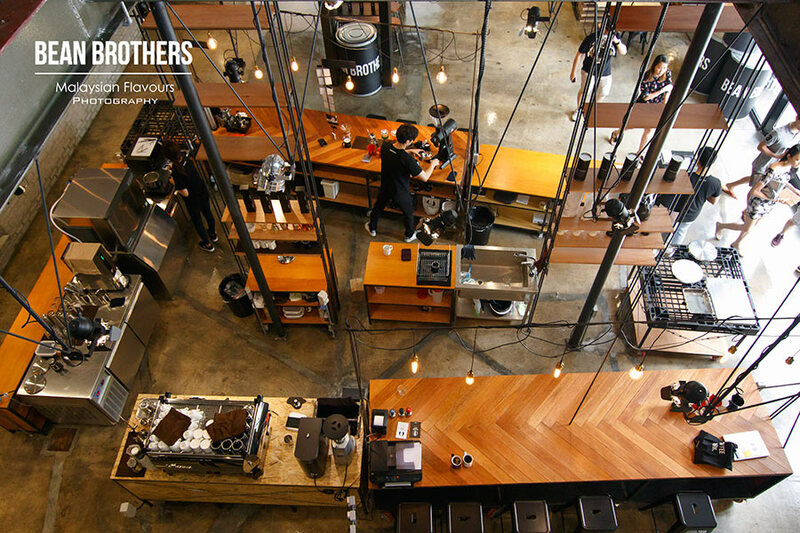 Seats go around the 360 degree area, allowing patrons to have a bird-eye view of baristas at work. Corner spaces are filled with more tables, natural sunlight flows through during daytime. The kitchen was closed during our visit, hence no food, just beverage. 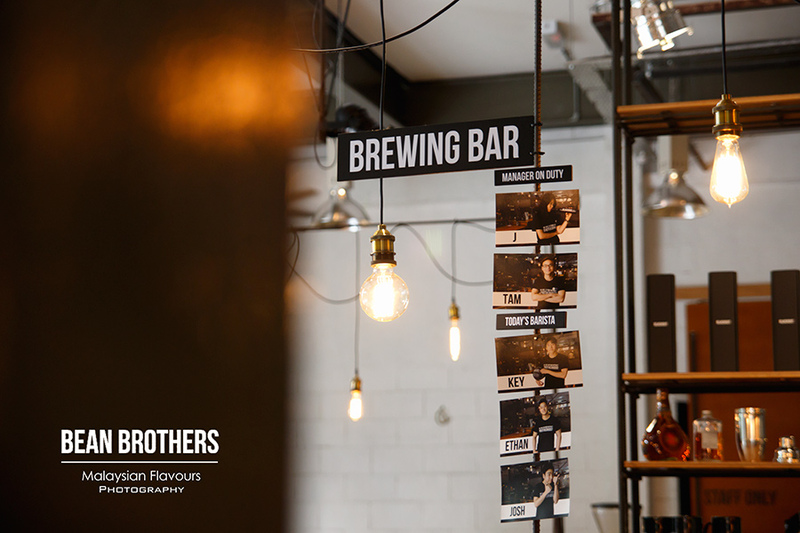 Suggest to check with Bean Brothers before visiting to avoid disappointment if you planned to have delicious brunch with coffee here. For beverage, enjoy black coffee or coffee in white. Black coffee is available in Monthly Limited, beans curated by Head Roaster of Bean Brothers, James and Chief Barista of Bean Brothers, J.B. Brewed with Hario V60, Aeropress or Clever Coffee Dripper. 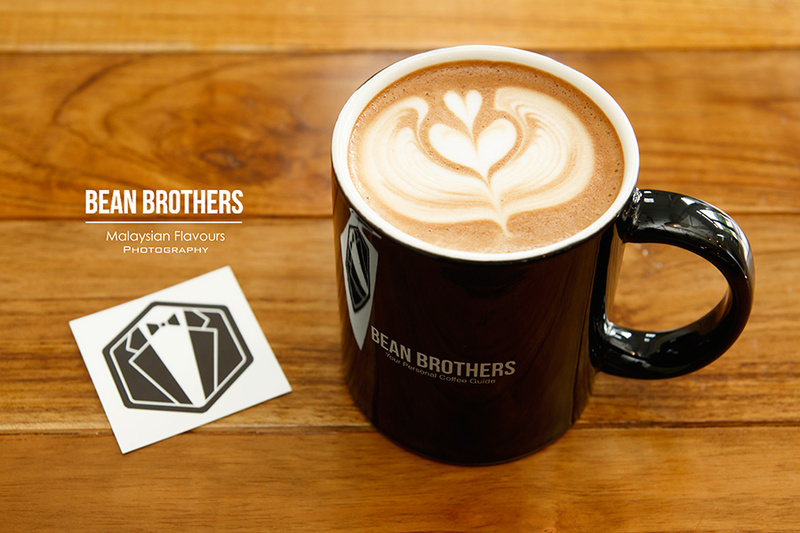 Bean Brothers House-blend, named Black Suit and Velvet White, covers for both black and white. Espresso machine, Clever Coffee Drip or Hario V60 for black coffee, while for white, get them in latte, flat white, cappuccino, mocha or flavoured latte such as latte caramel, latte vanilla. 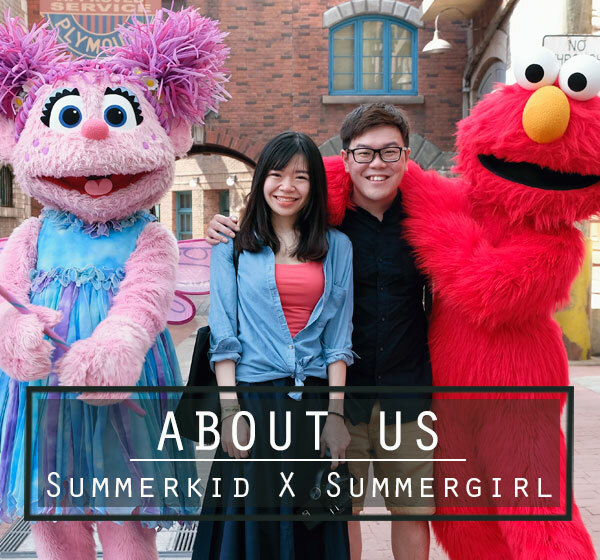 Summerkid has the handsome Black Suit in his mocha, while Summergirl had Velvet White for her latte. Both tasted really good. Mocha came in a balanced chocolaty and classic nuttiness, rich and smooth. Summergirl loved her latte that called for a faint hint of tea aroma, feminine, very pleasing. 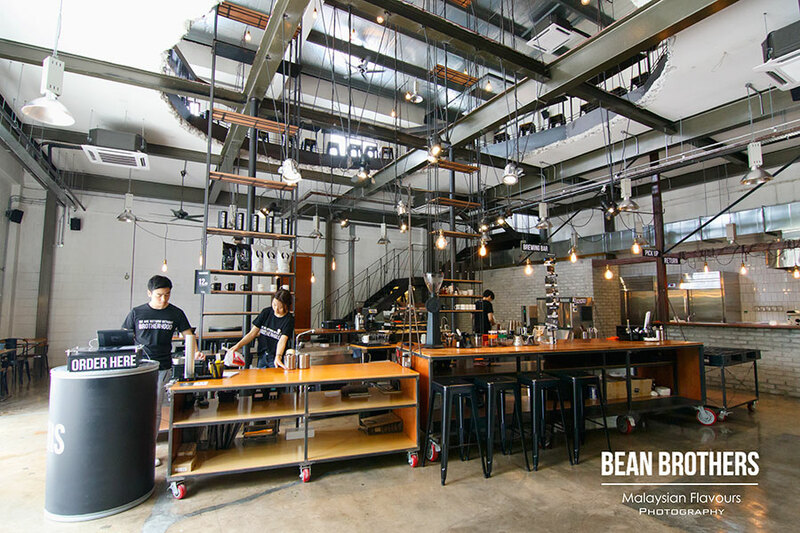 Comments: In Bean Brothers Malaysia, language of architecture and coffee speak. 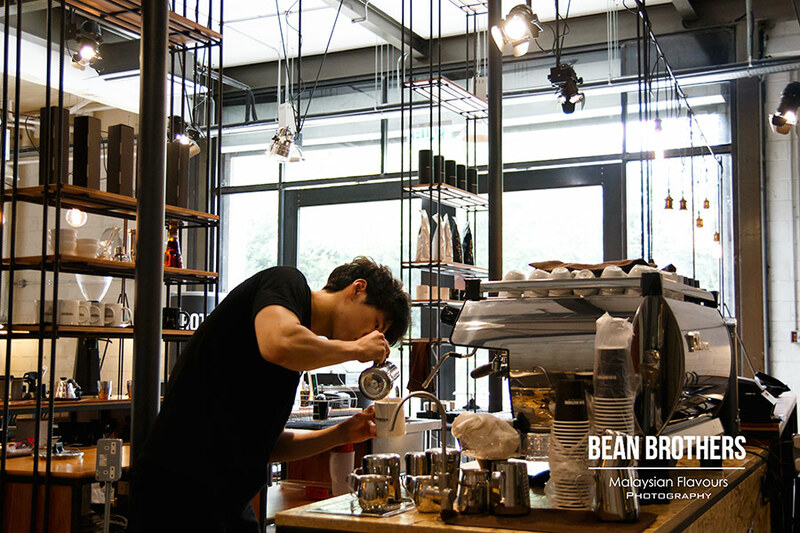 Friendly service (*with good looking staffs haha), baristas with full passion of coffee. Try their Velvet White, it is lovely! Too bad there was no food served on that day. But it’s OK, this gives us reason to return real soon. Amazed by that “hole” on the ceiling! I went there yesterday afternoon with my friends. The ambiance is interesting. However what is disgusting to us is two out of the three kitchen helpers were using their fingers and pinching on the food they were preparing, right in front of us as the kitchen is open. I called on the waitress and told her about it and they continued to do that. Next time u all go, just look at the kitchen, you will know I what I mean. Will never go back there again!